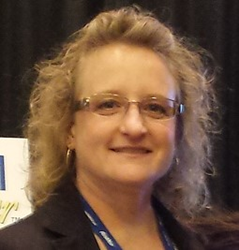 Nierman Practice Management Expands Their Sales Force and Welcomes Debbie Brown to the Team. As the need for help with implementing medically necessary procedures, such as Obstructive Sleep Apnea (OSA) increases in dental offices, the industry looks to Nierman Practice Management, the developer of DentalWriter™ and CrossCode™ Softwares for their training and support needs. We strive to ensure NPM’s customer support and education surpasses all client expectations, and with the new addition to our team we are securing our position as the leader in medical billing for dentistry. For the past 26 years Nierman Practice Management (NPM) has lead the dental industry in billing for medically necessary procedures through their personalized training options, proprietary softwares and nationally recognized CE seminars, Unlocking the Code to Medical Billing in Dentistry and Successful Implementation of Dental Sleep Medicine. As NPM expands their sales force they have just announced the recent addition of Debbie Brown to the Nierman Sales Department. With Debbie’s extensive experience in the dental field and oral appliances for the management of Obstructive Sleep Apnea (OSA), Nierman clients will receive the support needed to maximize their success in implementing oral appliance therapy (OAT) and other medically necessary procedures. Celebrating their 25th anniversary in 2013, Nierman Practice Management has paved the way for dentists billing medical insurance. Dental practices that have chosen Nierman Practice Management’s DentalWriter software have collected more medical insurance reimbursement for dental office procedures than any other group. Please email or call Jodi Jacks, Nierman Practice Management at info(at)dentalwriter(dot)com or 1-800-879-6468 for further information or questions.